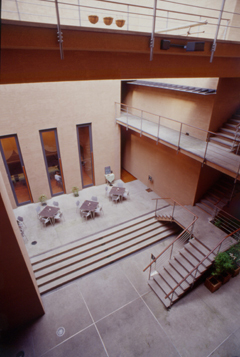 The Hosomi Museum was founded in March 1998 and is located in Kyoto's eastern district of Okazaki, the city's "cultural zone". 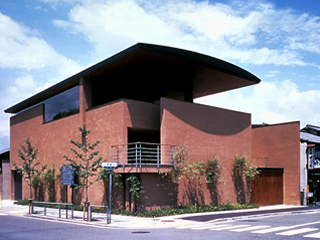 The museum is based on the collection of the late Osaka industrialist, Hosomi Ryo (first generation Kokoan), and features some 1000 works of Japanese art representing almost all major time periods and categories. Notable items include Heian and Kamakura Buddhist/Shinto art, Muromachi ink painting, Negoro lacquer ware and tea ceremony kettles, Momoyama ceramics and cloisonne, as well as Edo painting such as Rimpa and Ito Jakuchu. In all genres, world-class pieces can be found. Throughout the year, the museum organizes regular exhibitions, seminars and lectures, helping to promote Japanese traditional culture. The Museum has no permanent exihibition. Museum : Business Hours differs according to exhibition. Subway :Get off at Higashiyama station (Tozai Line), exit 2; 10 min. walk north. Get off at "Higashiyama-Nijo Okazaki-Koen-guchi" stop; 3 min. walk east on Nijo. Get off at "Okazaki-Koen-guchi"stop;2 min. walk west on Nijo. Get off at "Okazaki -Koen/Bijutsukan,Heian Jingu-mae"stop;5 min. walk west on Nijo. Admission fee differs according to exhibition. Copyright(C)2007-2017 HOSOMI MUSEUM. All rights reserved.